We are the rotary club of the Delta and Waverly area, with a membership of about 75 community leaders. We are called the Delta-Waverly Rotary Club and were chartered in 1969. Rotary was founded in 1905 by Paul Harris from Chicago. They rotated offices to meet and network. Rotary consists of 30,000 clubs and 1.2 million members in 170 countries. Headquarter in Evanston, IL. Our name is derived from the “Rotary Wheel” seen above, in which each spoke represents a community leader in a given vocation. Rotary’s motto: Service Above Self. We can offer you the opportunity to join other community leaders in fostering good fellowship and good works, in conjunction with a worldwide network of men and women, with the commitment to service above self. Rotary’s commitment to global polio eradication began in 1979 with a five-year project to immunize 6 million Philippine children against this devastating disease. After 20 years of hard work, Rotary and its partners are on the brink of eradicating this tenacious disease, but a strong push is needed now to root it out once and for all. It is a window of opportunity of historic proportions. Rotary is in a campaign to raise $200 million to match $355 million in challenge grants received from the Bill & Melinda Gates Foundation. The resulting $555 million will directly support immunization campaigns in developing countries, where polio continues to infect and paralyze children, robbing them of their futures and compounding the hardships faced by their families. Members are expected to maintain at least 50% attendance, which includes “makeup” at any Rotary club in the world. Perfect attendance is encouraged. Members are expected to be involved in some service project throughout the year. Members are expected to stay current with their financial obligations to the club ($165/quarter). This includes a weekly meal and the Rotarian Magazine. Members are expected to network appropriately…business card leads. Members are expected to consider attending District and International Conventions. 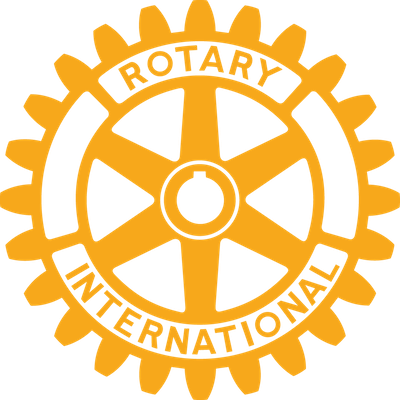 Members are expected to advance the local rotary club by inviting prospective members to meetings and receptions. Members are expected to consider giving to Rotary International Foundation. It was started in 1985 and it helps in Polio Eradication, numerous philanthropic activities, clean water filters. Giving levels range between $100 sustaining member & $1,000 Paul Harris Fellow.